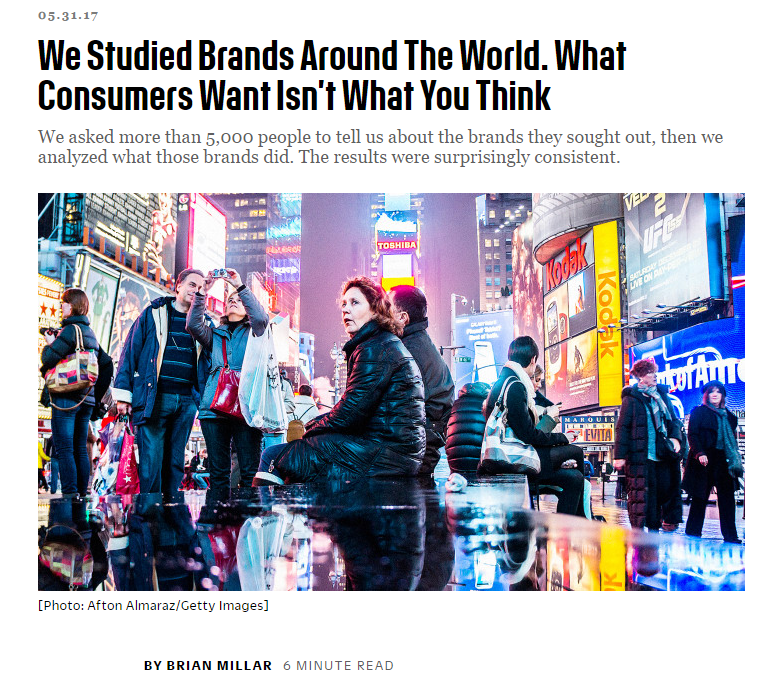 We were featured in Fast Company recently, talking about the need for a share of emotion, and the importance of being a multifaceted brand personality. Traditional advertising went after “share of mind”–the idea was to get you to associate a brand with a single idea, a single emotion. Volvo: safety. Jaguar: speed. Coke: happiness. The Economist: success. Bang, bang, bang, went the ads, hammering the same idea into your mind every time you saw one. Advertising briefs evolved to focus the creatives on a single USP and a single message. Tell them we’re the Ultimate Driving Machine. Tell them in a thrilling way. It worked when you saw ads infrequently on television, in a Sunday magazine, or on a billboard on your morning commute. It hasn’t worked online. Audiences have stopped engaging with advertising. Big brands like Pepsi and P&G have slashed investment in Facebook spending. The agencies’ response has been to create new formats of ads that take over a page, dominate our mobiles’ screens, and generally scream at us. And when somebody screams at you for long enough, you put in earplugs and ignore them. Or, in the case of the online world, you install an ad blocker, as much of the U.K. population has now done.